Founded by Jean-Michel Petit and Camille Rumani in 2014, Eatwith has grown into a global community with over 25,000 local hosts in 130+ countries. Their hosts welcome travelers all from all around the world, creating a space for them to immerse themselves in local cultures. 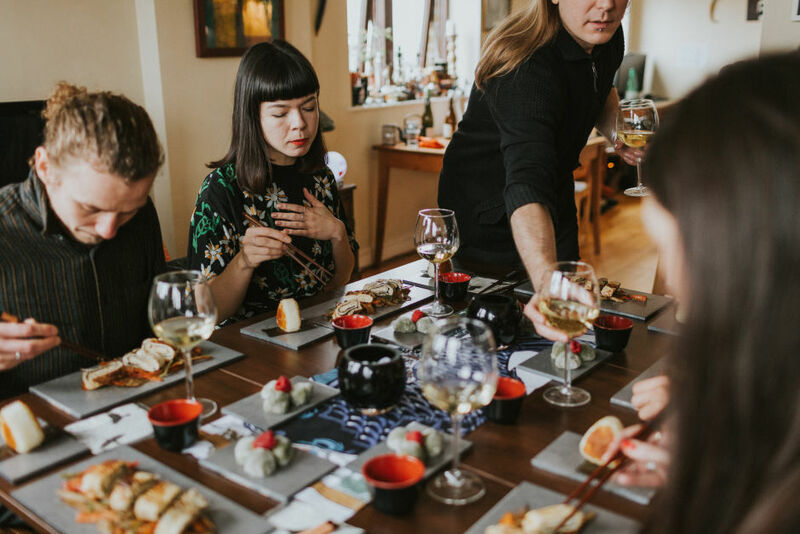 Through Eatwith, individuals connect with other food and travel lovers around the table. Eatwith is eager to expand their US affiliate program, prioritizing publisher recruitment across North America to align with their 2019 expansion goals in to this market. What are the benefits for publishers working with Eatwith? As the demand for experiential travel increases, Eatwith gives publishers the opportunity to promote something relevant and interesting for a diverse group of people. Families are seeking unique events to enjoy together, millennials want to meet new people, and culinary adventures have never been more popular. At Eatwith, we bring travelers a delicious new way to explore a culture. By promoting Eatwith experiences, publishers have an opportunity to continuously earn commission on unique experiences that travelers and locals are looking for. What’s one fun fact about the Eatwith brand? The Eatwith mission is to connect people from all over the world and we live out that mission every day. Within our own team, we represent 15 nationalities and all of our team members speak at least two languages! We joined Awin because we wanted to promote our company through a platform that is highly-trusted among publishers and businesses. Awin connects us to a global network of publishers, which helps us grow our business around the world. Several other companies also referred Awin to us and we chose to join based on their success stories. Does Eatwith currently have any promotions, publisher incentives or exciting news Awin publishers should know of? Eatwith is offering 10% off any experience over $70 using the information below. Limited to 5 seats max per booking. Not combinable with any other ongoing offers or Eatwith gift cards. What makes the Eatwith affiliate program different from that of other lifestyle, tourism and accommodation brands? Eatwith is the leading culinary experience platform in the world. By becoming an affiliate, publishers can tap into our extensive global reach and earn commission on our experiences in over 900 destinations. Interested in partnering with Eatwith? Please contact our advertiser support team.